What's next? An interactive live-action adventure. 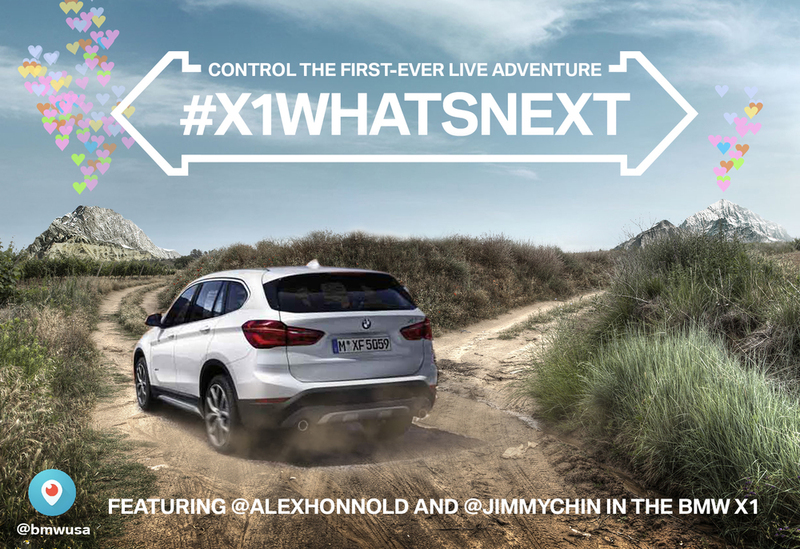 To launch its newly-designed X1, BMW turned to Alex Honnold and Jimmy Chin for an interactive live-action adventure. 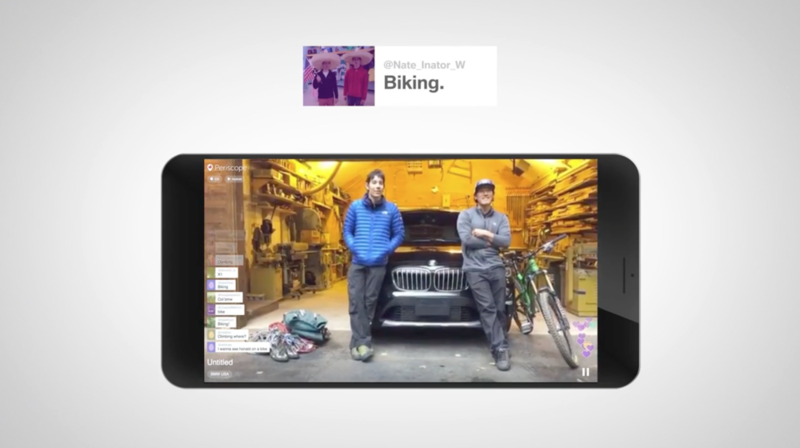 Using the live streaming service Periscope, viewers were able to interact in real time and influence Alex and Jimmy's choices—including activity and location—during a day-long X1 road trip. 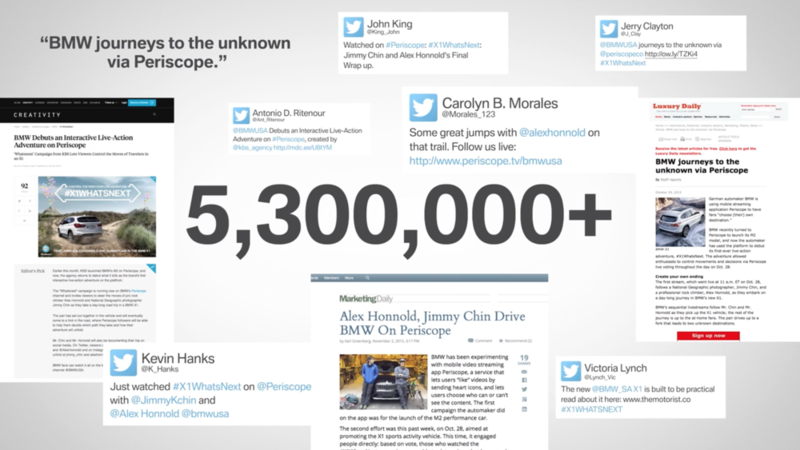 The adventure unfolded on Twitter and Instagram as well, where it acquired thousands of likes and millions of impressions.